-It is of the computer control and press-key operation. -The high speed wire peeling can freely set the wire length, cord top, wire tail, peeling length within the peeling range. 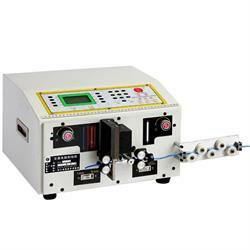 -It has the measuring, time-extending functions and is with the stable performance and the convenient operation.